Dr Najat AlSaied has more than 16 years’ experience working with development organisations and the media in both the Arab world and the USA. 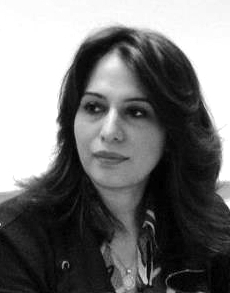 She was awarded a doctorate by the University of Westminster, London, in 2013, for her thesis “Development Initiatives in Programming on Privately-Owned Arab Satellite Television and their Reception among Disadvantaged Saudi Women” and she currently teaches at the College of Communication and Media Sciences at Sheik Zayed University. AlSaied holds two Masters Degrees in Health Promotion & Disease Prevention, and Computer Information Systems from The American University in Washington DC. In the past she has worked at the Islamic Development Bank (IDB) in Jeddah, Saudi Arabia, the World Health Organisation – Pan American Health Organisation (PAHO) and Housing and Urban Development (HUD) in the USA. Dr AlSaied’s work often touches on the empowerment of women and she has also spent time working as Editor-in-Chief for a women’s e-magazine at the Saudi Research and Publishing Company (SRPC) in Dubai. Her book SCREENS OF INFLUENCE: Arab Satellite Television & Social Development – case studies in poverty, literacy and violence in underprivileged Saudi women is her first to be published by Askance Publishing.